Mae "Mickey" Helen Arnett Madison, age 87, of Evansville, entered into her eternal rest at 6:47 p.m. on Friday Nov. 16, 2018 at Lucy Smith King Care Center in Henderson. Born Dec. 2, 1930 in Corydon, she was the daughter of the late Weston and Lucille Dixon Arnett. 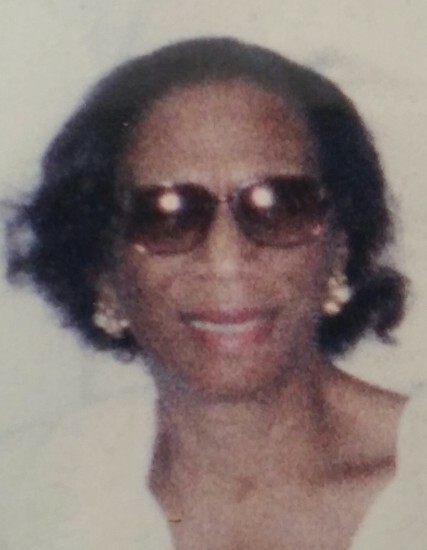 She was a member of St. Paul Missionary Baptist Church in Corydon where she served faithfully on the Mothers Board and as a member of the Circle 1 Missionaries. She also was preceded in death by her husband, Charles Madison; three brothers, Weston Arnett, Norman Arnett, and Raymond Arnett; and by two sisters, Kelner Jackson and Ruth Harvey. She leaves behind to cherish loving memories one son, Charles W. Madison of Evansville; one daughter, Karen LaDon Pritchett of Evansville; one sister, Katherine Smith of Columbia, Missouri; one sister-in-law, Rosetta Arnett of Henderson; one special friend, Sue Fletcher of Corydon; three grandchildren, Richard Pritchett II of Evansville, Demario Madison of Evansville, and Charles Madison of Evansville; and a host of other relatives. A special thanks to the staffs at Redbanks Nursing Home and Lucy Smith King Care Center. Her life will be celebrated at 12:00 p.m. Saturday November 24, 2018 at St. Paul Missionary Baptist Church. The Rev. Samuel Brooks will officiate. Burial will be in U.B.F. Cemetery in Corydon. Visitation and wake services will be from 11:00 a.m. until service time Saturday at the church. Elliott Mortuary in Madisonville is in charge of the arrangements.